Livorno thin chrome single panel radiator 900mm high x 386mm wide with 1,001 BTU heat output. Stylish and slim, this small single panel radiator is perfect for small spaces such as kitchens, bathrooms, hallways and staircase landings. Livorno is a vertical wall mounted contemporary radiator range. Available for sale here as a central heating radiator range, Livorno is a great choice when refurbishing your domestic home radiators. Livorno is a Geyser exclusive design and therefore you are buying direct from the distributors online store guaranteeing you a direct sale at the lowest price in the UK. 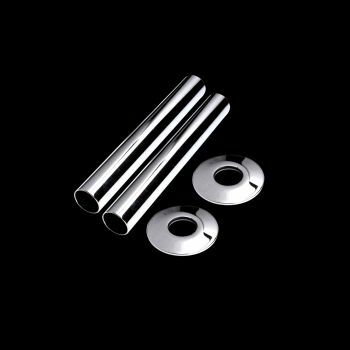 Livorno manufactured in Europe to an industry recommended chrome plating depth. 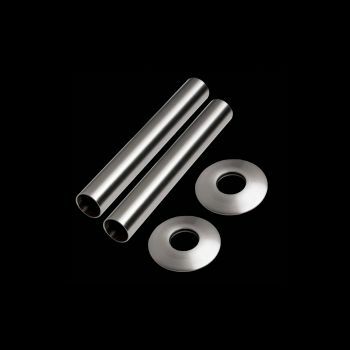 This is enhanced by rigorous anti corrosion testing and rust-preventing additives in the chrome plating. Polished chrome plate is a luxury designer finish but it does have insulating properties which mean that chrome plated radiators have approximately 20% lower heat outputs than powder coated radiators. We also sell coloured radiators in powder coated finishes that are alternatives to chrome plate.